Abstract: A personal history of sixty years of medical librarianship is provided. Beginning with the manufacture of penicillin, the author supplies anecdotes of her interactions with clients up to the advent of genomics. The stories explain the motivation for providing stipends for attendance of librarians or other information specialists at the national meetings of their clients. After I had assigned this talk the time span of sixty years in the abstract, I realized that my partnerships went back further than that. I must have been seven or eight years old and my Dad, around thirty in the early 1920s. He paid my brother and me pennies for clipping items and articles from the Engineering News Record and Journal of the American Society of Civil Engineers so that he could file them according to topic as he started his own firm, the Interstate Engineering and Construction Company that operated in Eastern Washington and Northern Idaho. The pennies Dad paid us were in lieu of an allowance. In fact we were expected to start saving early so that we could earn our way through college. The idea was that if our parents didn’t support us when we were young, we wouldn’t have to support them in their old age. As is apparent it worked extremely well and they still left us a substantial amount in their will and trust. But their far greater gift to us was the ability to stand on our own two feet and think for ourselves that enabled me to start life alone in New York City before I was twenty-one. That was prologue. I had intended to begin this story in 1942, after I had worked at Columbia Libraries and found myself fraternizing with the graduate students as much or more than with library students and librarians. I’ll start with reminiscences of the experiences that made a lasting impression on me during the past sixty years. I will develop parables, first relating the experience and then ending each anecdote with a statement of the moral that concerns librarians’ understanding of and identification with their clients. In 1942, I went to Burroughs-Welcome and literally came in with penicillin. I started on July 1 and that first week there was an article in the New York Times about the powerful curative effects of penicillin. I had just learned that the Welcome Research Laboratories, in which we had the library, were part of an intensive cooperative effort to find large-scale manufacturing methods for the antibiotic because it was desperately needed for the war effort. The library in the Welcome Research laboratories was the only place in the building where people were allowed to smoke. Since it was also very small, it was usually full of clients whom I soon came to know well. The organic chemistry department had a back door entrance and its chief would storm through it when an experiment had gone bad, giving us an example of some urbane expletives. · Moral: Clients have many problems that the librarian can help them solve..
One morning I arrived at work and the door – usually open well in advance of our arrival – was still locked. One of the chemists asked jokingly “Where is your key, Win?” I reached in my purse and pulled out a bottle opener with which he immediately released the lock. · Moral: Librarian and client working together can accomplish what neither can do alone! On the service side, I started notifying clients of articles I thought would interest them, putting their names first on circulation lists as we sent out the journals. I didn’t get any feedback until two different key scientists told me they had heard elsewhere of important papers that I hadn’t sent them. · Moral: Knowledge of one’s value to clients may come from occasionally failing! · Moral: It’s wise to look in unlikely places, especially for searching on the Internet. In my early days at Squibb I had hired an Editor for the Squibb Abstract Bulletin. One morning he popped into my office. He had a call from the Deputy Director of the research laboratories in New Jersey. That morning the New York Times had a story about 6-mercaptopurine – a new cancer drug -- that had been reported at a meeting. The inquirer wanted to know if there had been any research publication on the chemical. I suggested that our editor look under Hitchings or Elion, because when at Burroughs-Welcome I knew they were working on purines. From the smells coming out of their laboratory, I suspected that they were also dealing with mercaptans. He found the article and they later received the Nobel prize for this work and its theoretical basis. · Moral: A librarian should use all senses in answering clients’ questions. · Moral: It isn’t difficult to gain the client’s confidence once you treat each other as colleagues. · Moral: For best information assistance librarians should identify with their clients. · Moral: You’re damned if you do and damned if you don’t! In the mid-1960s, I was asked to establish a Drug Literature Program at NLM. We brought in representatives of the Society of Toxicology and American Society of Pharmacology and Experimental Therapeutics to review the nomenclature in their subject areas in MeSH. When members of the latter committee came to my house after a day of serious discussion, one of them remarked that he had just seen the light. Instead of getting an idea exquisitely right for his purposes, he had to compromise with the needs of others to get a resource for everybody! · Moral: Clients can cooperate to improve the resources most used by librarians. Early in the 1970s, I was asked to speak by Philadelphia groups of both the American Society of Information Science and the American Society of Hospital Pharmacists. I suggested that I speak to both groups in one meeting, the ultimate in joining librarians (information specialists) and clients. It was there that I said: “Librarians are quite willing to say: ‘I can’t find it,’ but never to decide that the information doesn’t exist. On the other hand, scientists and practitioners are quite willing to say that the information doesn’t exist, but because of their implied expertise cannot bring themselves to say: 'I can’t find it.’ Needless to say, I had arguments from both camps. · Moral: To understand clients’ ways of thinking librarians must identify with them. In the 1970s, I was given a part time appointment at the University of Maryland School of Pharmacy. My first assignment was to lecture on library use to the incoming class of seventy pharmacy students. The only way to describe the experience is catastrophic. I had given them a library assignment and the next morning a bright young man showed up at my office door to enlist my help. I asked him if he remembered what I said about something and his candid reply was: “All that I remember is that you know a lot.” Next year faculty members helped me to integrate library instruction with class assignments. We published in a pharmacy journal, preventing many librarians from finding our work. · Moral: Library literature may be found in client sources. The idea of a Fund for librarians to spend time in the atmosphere of their clients took on substance in the mid-1990s when I was distressed at the need for more support for attendees at the American Association of Colleges of Pharmacy’s (AACP’s) Library and Educational Resources (L/ER) Section. It occurred to me that this was just the sort of problem that needed to be solved by money to support attendance of members of academic health sciences libraries at the AACP. As an indirect result of receiving the stipend, one of the librarians, who has subsequently attended AACP meetings regularly, established a joint “listserv” for members of both the MLA Pharmacy and Drug Information and AACP’s L/ER groups. It has been enthusiastically used because it has served very useful purposes but has not overwhelmed recipients. · Moral: Librarians who received stipends have contributed to making other librarians and their clients come closer in the client organization. 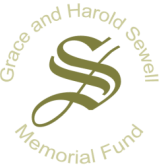 As an epilogue, I can tell you that in 2001, the Grace and Harold Sewell Memorial Fund was established. By that time, I had started giving stipends for attendance at the American Public Health Association’s (APHA’s) annual meetings as well and felt that the stipends were well enough in hand that they could be continued by criteria committees of the MLA PH/HA section and the L/ER section of AACP. But I still wanted to make provision for grants to support a librarian working in the atmosphere of the client. Realizing that some people took the purpose to be funding a clinical librarian, without emphasizing the client identification, I had also decided that I needed to be involved in the detailed plan and its implementation before I died if possible. Hence with the establishment of the fund, I created a Board of Trustees consisting of friends who represented both clients and librarians. I also obtained a Focus Group consisting of both clients and librarians. They met on March 24 and 25, 2002, to criticize the plan and suggest methods of implementing it.